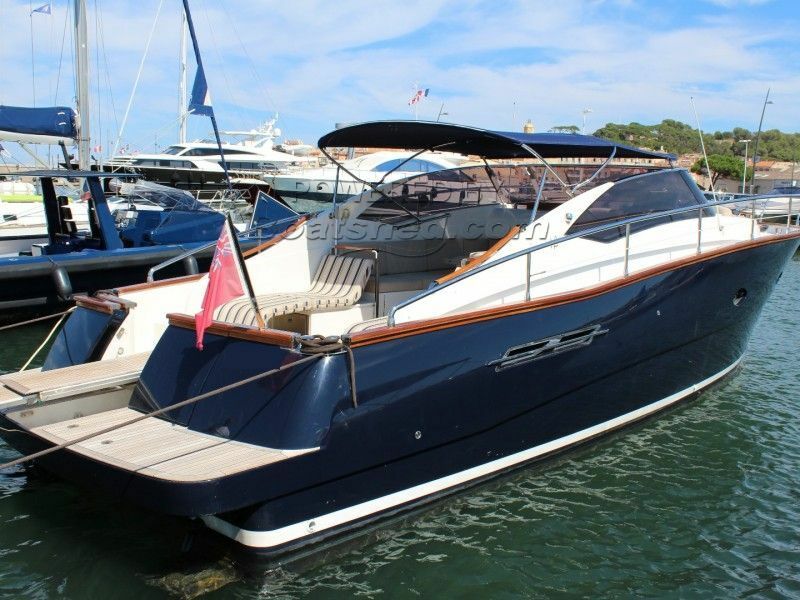 The Austin Parker 42 was designed by Fulvio de Simone, the Italian designer of Pershing Yachts, inspired by the Four-Season lobster boats of Maine. She has a large open cockpit with a huge on-deck galley and the mahogony toprail running around the top of the hull gives a luxurious feel. There are a pair of innovative rear facing chairs that fold out to become "chaises longues" in a clever design that I have never seen before. This Austin Parker 42 Open has been personally photographed and viewed by Edward Kay of Boatshed Riviera. Click here for contact details.